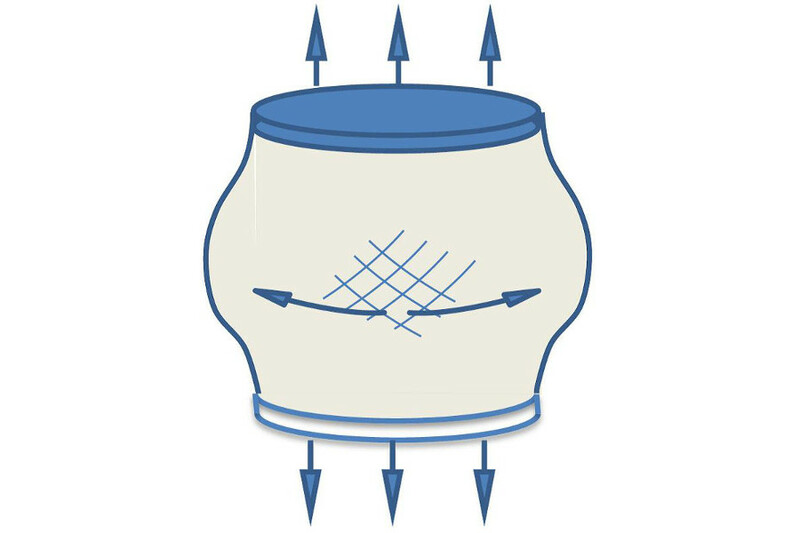 One of the main components of the AWS-III wave energy convertor is the diaphragm, which forms the air-water interface, transferring hydrodynamic wave energy into pneumatic energy. The particular function and application of the AWS-III diaphragm is not similar to any other known device. 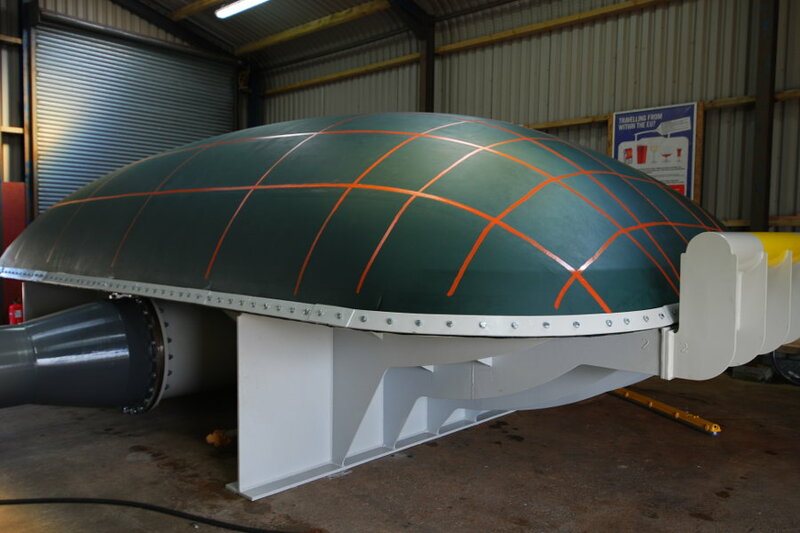 It was therefore necessary to develop a new product, and develop in-house technology and understanding of what was a key unproven technology within the AWS-III wave energy converter. 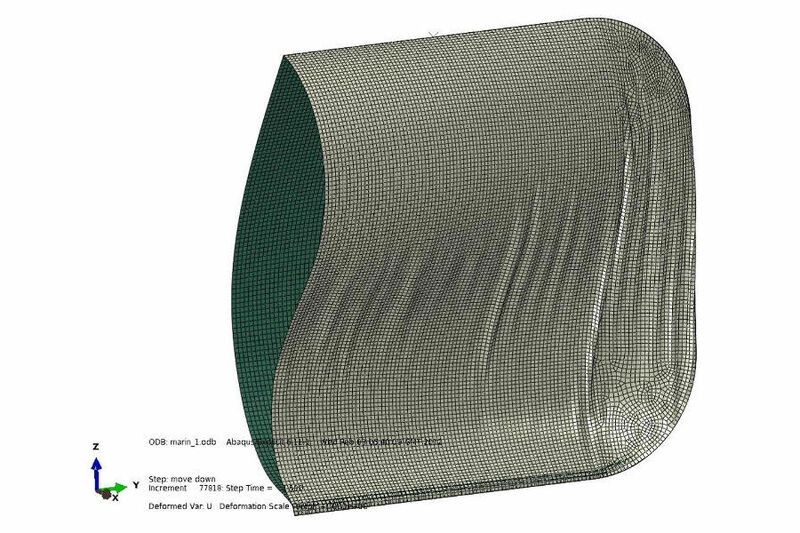 A composite diaphragm structure had been developed using a woven fabric to give mechanical strength, coated with a combination of polymers to provide fatigue resistance, air and water tightness and resistance to abrasion. 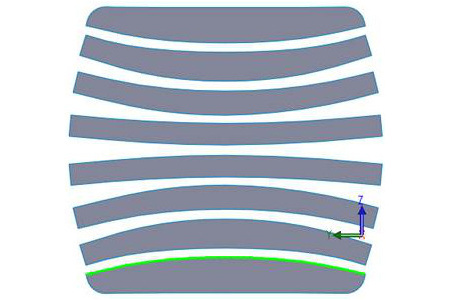 The diaphragm had been proven to have properties that will cope with many of the foreseen challenges to its strength and durability however further work was required to identify, quantify and solve predicted fatigue issues in areas where complex folding, creasing and skew loads had been anticipated. 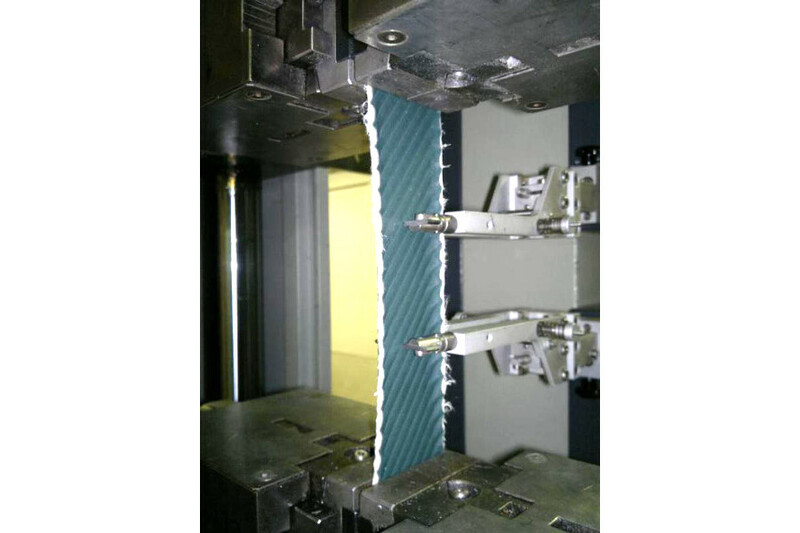 The purpose of the material testing was therefore to outline the performance characteristics of the materials involved in the construction of the diaphragm. 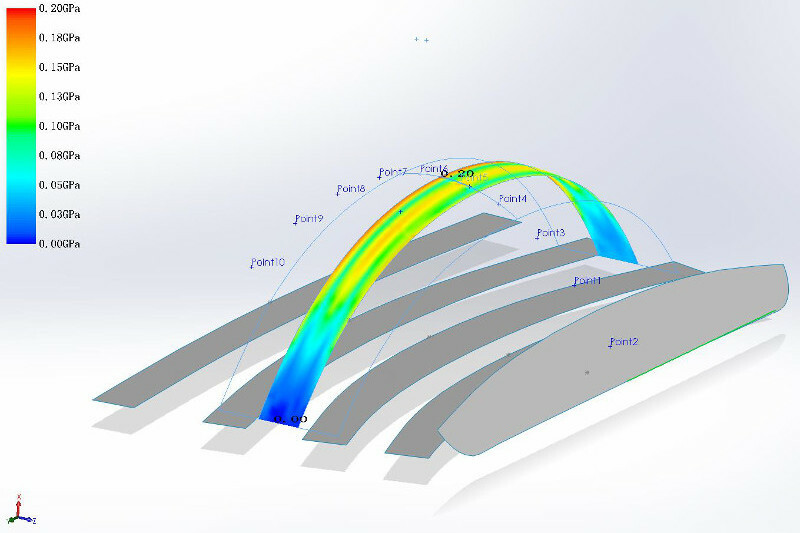 These characteristics were then related to the performance of the materials under the loading conditions expected during operation of the diaphragm, as predicted by finite element analysis of the composite diaphragm. The diaphragm surface geometry was generated from a numerical analytical model that created a 3D form of the inflated diaphragm. To enable the manufacture of the diaphragm, a 2D cutting pattern was required to be developed from the 3D model. In the past this had only been achieved by using external consultants and numerous types of software. It was required that the complete process be streamlined and managed in house. A numerical model was developed by our performance team using a program written in MATLAB. 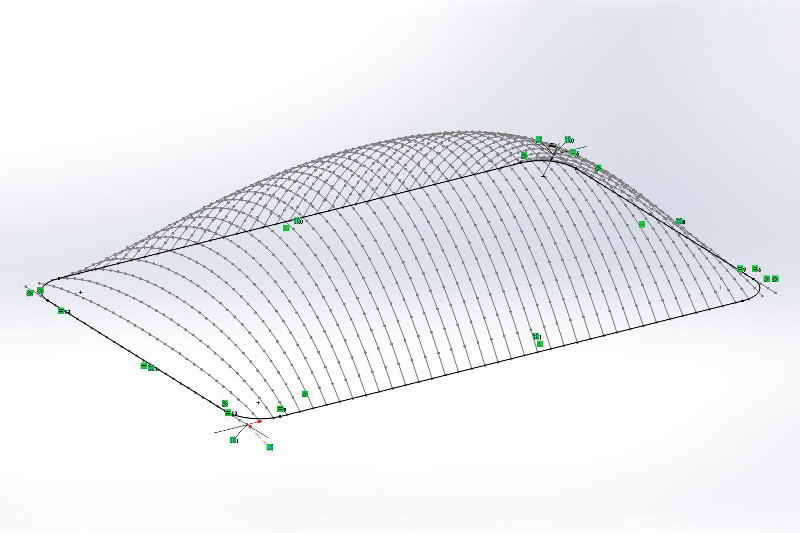 The output from this program was saved as “point coordinate references” in an Excel spreadsheet, which was then processed through a SolidWorks integration sheet. This macro driven spreadsheet has the ability to create point, lines, arcs, or splines in the form of a 3D sketch in a SolidWorks part file. A boundary surface was then applied to the sketch data to create a solid model of the diaphragm. 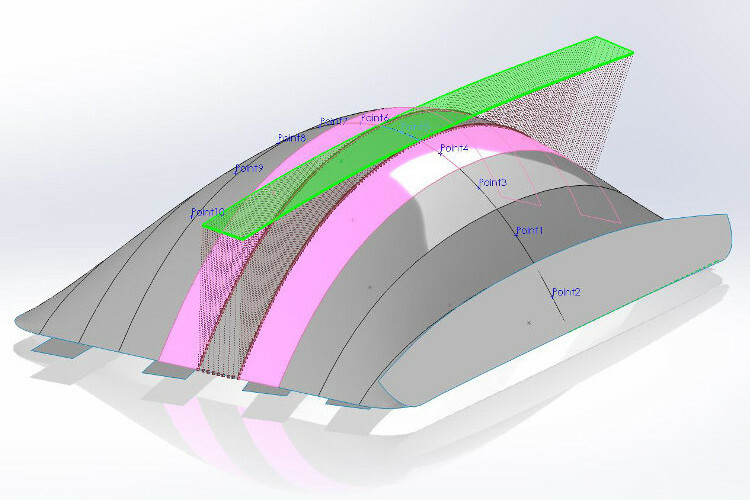 We used a mix of conventional SolidWorks tools and a small add-in application provided from a SolidWorks software partner to determine and create a segmental flat profile of the diaphragm panels. We were then able to analyse the stresses and strains that occur when forming the panels into the 3D shape.